You’ve heard of CBD and THC, but how well do you know cannabinoids like CBG, CBN and THCV? The miraculous benefits of hemp are all the rage these days! 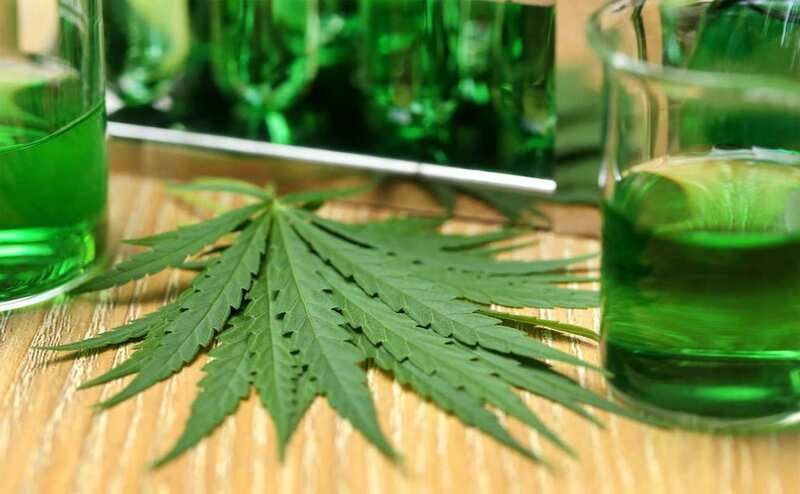 With this huge surge in popularity for CBD and all it has to offer, it seems that everyday we are now learning about new cannabinoids that also show potential health benefits. In this article, we’re going to touch on four of those cannabinoids, their unique medicinal benefits and their full spectrum properties in both industrial hemp and marijuana. Since cannabinoids work better synergistically, rather than individually, it’s important to take the time to learn about all the different ways the compounds in hemp and cannabis work together. 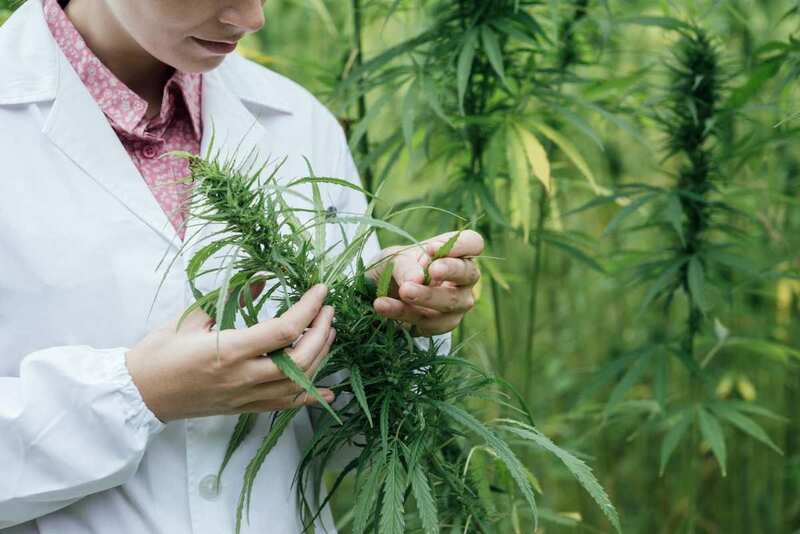 A scientist studies a hemp plant in a field. Preliminary research into other cannabinoids reveals a host of possible healing benefits to naturally occurring chemicals like THCV and CBG. The three we’ll discuss below are CBG (cannabigerol), THCV (tetrahydrocannabivarin), and CBN (cannabinol). Keep in mind that cannabinoid research is in its preliminary stages, but what we’ve already discovered is extremely promising. The first up in our study of cannabinodis is CBG (cannabigerol). Like CBD, CBG does not produce a “high” like THC does. In fact, both THC and CBD start out as cannabigerol. It’s an interesting process. Basically, cannabis plants produce cannabigerol acid. Specific enzymes in the plant then breaks down the CBGA into the the acidic form of THC and CBD (known as THCA/CBDA). Next, THC and CBD form as the acid burns off via decarboxylation. CBG works by increasing anandamide levels. Anandamide is an endocannabinoid, a naturally occurring cannabinoid found throughout our bodies, that helps regulate biological functions including appetite, sleep, and memory. Cannabigerol stimulates bone formation and healing. In a study published on pubmed.gov, “Age-related osteoporosis is characterized by reduced bone formation and accumulation of fat in the bone marrow compartment. Here, we report that the type 1 cannabinoid receptor (CB1) regulates this process.” Results showed they could stimulate bone marrow stem cells by regulating osteoblast (bone formation) and adipocyte (fat accumulation in connective tissue) differentiation in marrow stromal cells. Slows tumor growth! CBD, CBG, and CBC were all shown to slow the progression and growth of tumors and cancer cells. In a study published by cannabisinternational.org, CBG and other cannabinoids seem to have anti-proliferative/pro-apoptotic effects. CBG has shown to have anti-fungal and antimicrobial properties, which make it a candidate for antifungal and antibacterial treatment. Some scientists believe CBG could be part of an effective treatment against MRSA (Methicillin-resistant Staphylococcus Aureus), a highly prevalent antibiotic-resistant strain of bacteria. Next up is THCV (tetrahydrocannabivarin). The THCV compound makeup is very similar to the infamous THC cannabinoid, but it affects the body differently. Preliminary research into the various cannabinoids found in hemp and cannabis reveals that there’s more to healing than just THC & CBD. The feeling THCV produces seems to come on faster than THC and fades out faster as well. Users report a more clear-headed and stimulating high. THCV may have anti-convulsive properties and can raise the seizure threshold for those with epilepsy. As a result, they experience fewer seizures. Researchers are studying THCV’s ability to stimulate bone growth as a potential treatment for osteoporosis and other bone conditions. THCV counteracts feelings of anxiety and shown to be effective in PTSD treatment. Improves motor control, reduce tremors, and lessen the effects of brain lesions caused by Alzheimer’s disease. However it’s important to know that research is in the early stages and much more information is still needed. Researchers believe THVC blocks the rewarding sensations we experience when eating, especially the unhealthy, comfort foods. There is an informative article on THCV by Northwest Leaf called “THCV: A potent, rare and promising cannabinoid.” It’s a great read. The third cannabinoid to share is CBN (cannabinol). This is an interesting cannabinoid as it is produced when THC is heated or exposed to oxygen. Unlike THC, Cannabinol does not bind well to CB1 and CB2 receptors. Scientists classify CBN as non-psychoactive. CBN is not an abundant cannabinoid. The CBN content found in the cannabis plant on average will be less than 1 percent. Bone tissue growth. Studies show that CBN causes an indirect recruitment of mesenchymal stem cells that surround bone marrow. These stem cells are able to turn into bone and other tissues making it a possible candidate for healing bone fractures. The Journal of Neuroimmunology offers more information on this subject. Like other cannabinoids, CBN is an anti-inflammatory cannabinoid that also has pain relief properties and preliminary research shows promise that CBN combined with CBD may prove to be an effective treatment for burns. Sedative. According to a Royal Queen Seeds article, research shows that CBN can sometimes be as effective as pharmaceutical sedatives. Scientists are also studying CBN as a possible sleep aid, an appetite stimulant, and as an anti-convulsive agent. CBN seems to work best symbiotically with CBD and THC. Now that you have some knowledge of these cannabinoids, it’s important to understand how their profiles differ between industrial hemp and marijuana. Both hemp and marijuana come from the cannabis plant, but different varieties and different growing methods differentiate high THC psychoactive cannabis (“marijuana”) from industrial low THC hemp plant. Both plants produce flower buds and both plants’ buds contain cannabinoids, but are the cannabinoids the same in both hemp and marijuana? The short answer is yes! “The human body does not care where the molecule comes from,” Grotenhermen said. A gloved scientist with a vial of CBD and a hemp leaf. ‘Full spectrum’ extracts contain more cannabinoids, terpenes, and other beneficial chemicals found in hemp & cannabis. Yet, there are distinct differences between the two. For example, psychoactive cannabis contains a high amount of THC, flavonoids and terpenes that hemp just doesn’t have. Marijuana also contains a higher concentration of cannabidiol than most forms of hemp. When consumers buy CBD that’s refined from industrial hemp, as in the majority of CBD products on the market today in the U.S., we always recommend purchasing a “full spectrum” extract. 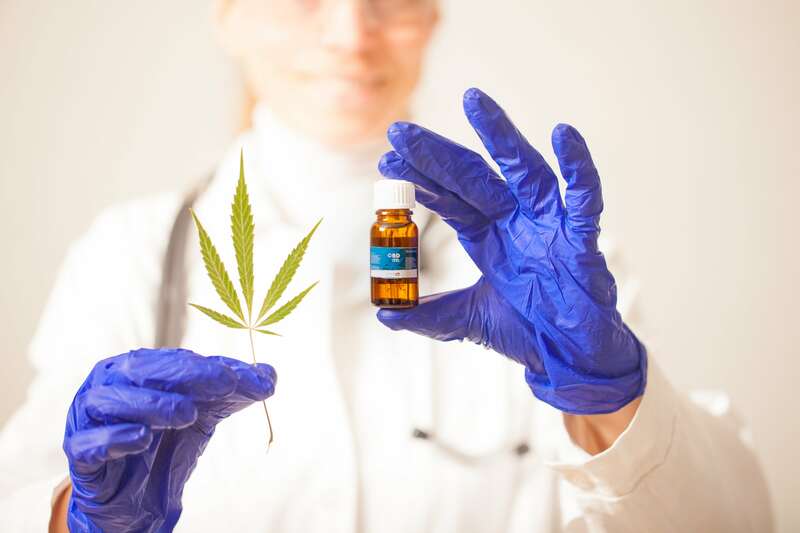 Full spectrum means that all of the cannabinoids, flavonoids, and terpenes found in the plant have been extracted and used in the CBD or hemp oil. Psychoactive cannabis can also be made into a “full spectrum” extract. When a consumer ingests full spectrum oil, many scientists believe that it takes advantage of the “entourage effect.” This effect means that all cannabinoids, flavonoids, fatty acids, terpenes, and other plant compounds are working in concert with one another to maximize their benefits. In general though, cannabis consumers and experts report a more satisfying, better healing experience from full spectrum products. THC and CBD are the two most active cannabinoids in marijuana. They share a special synergy that contributes most to the entourage effect. While many people report benefits from low-THC, hemp-derived CBD extracts and full spectrum hemp oils. Others find they need the presence of THC for maximum effect. CBD products made from hemp should be legal in all 50 states, while only portions of the U.S. currently have access to recreational or medicinal marijuana. We recommend trying everything that’s available to you to find out what works best for your needs. In conclusion, the study and research of cannabinoid compounds is still fairly new. While scientists have already made huge leaps forward, even bigger leaps into the cannabinoid world still await. As the United States slowly changes its cannabis laws and the popularity of CBD increases, it can only be uphill from here! In the meantime, if you’re suffering from chronic pain, PTSD or other mental illness, or even osteoporosis, exploring other cannabinoids might offer additional relief. As with any treatment, please do your own research and consult a doctor. 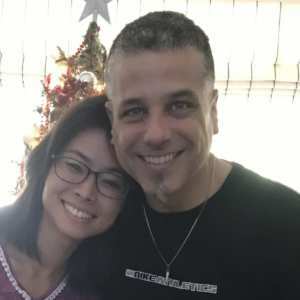 Rob Railis is a small business entrepreneur, freelance writer and CBD enthusiast in West Melbourne, FL. He got involved with CBD after giving it to his father to help manage chronic pain from arthritis in both knees. After seeing the positive results first-hand, Rob began to learn all that he could about the amazing benefits of cannabidiol and the other major cannabinoids. When he isn’t writing or speaking on Cannabidiol, Rob runs 13 Pastures, a wholesale CBD company. Please, how true is this ? And if it’s true, does it still remain it’s anti bacterial properties after washing it from time to time?